Yes diggity says the manfacturer, announcing £150m new investment. 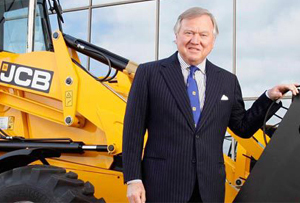 JCB, the yellow digger maker, announced plans today to create 2,500 jobs by 2018 and invest £150m in production. The company estimates that this will add an extra 7,500 jobs in their UK supply chain, citing a recent Oxford Economics study. The single largest investment in JCB’s history includes a new factory, expansion of current production facilities, and replacing a small factory with a whopping great 350,000 square foot one, all in Staffordshire. George Osborne will get to put on his smug face again today on a visit to a JCB factory in Staffordshire, the day after he announced improved employment and growth predictions in the Autumn Statement. JCB have had a pretty constructive year, not withstanding their owner’s induction into Parliament’s nap room. They announced in April that earnings (on an EBITDA basis) rose 2.8% to a record £365m in 2012, on almost unchanged revenues of £2.7bn. UK manufacturing is certainly cranking up the gears. The sector is creating 5,000 jobs a month, according to figures published on Monday by the Markit/CIPS Purchasing Manufacturers’ Index, fuelled by orders at their highest level in almost 20 years. The index jumped to 58.4 in November, from 56.5 the previous month (numbers above 50 indicate growth).